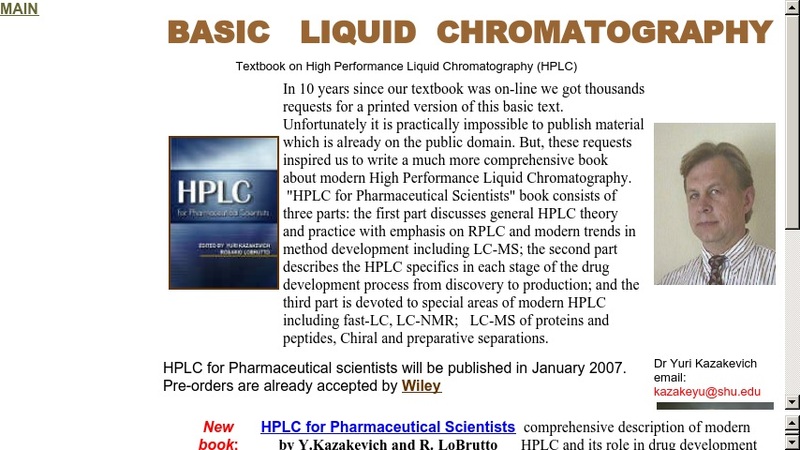 This online textbook offers a variety of information on high performance liquid chromatography (HPLC). Topics covered include instruments, detectors, theory, column selection, and pH effect. This website also contains links to a glossary, useful links, and manufacturer websites.